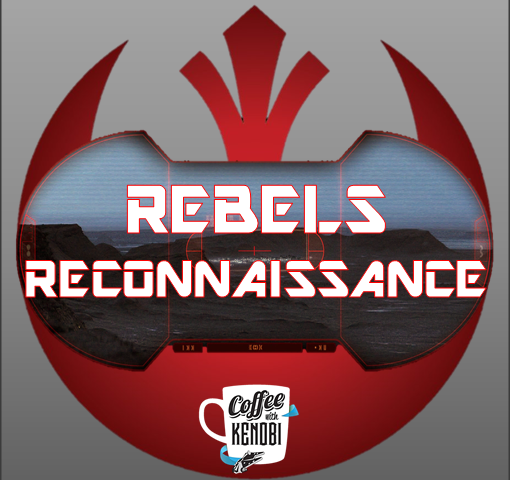 *Spoiler warning: This review contains spoilers for the Star Wars Rebels episode “Steps into Shadow. One of the great things about a successful series entering its 3rd season is that much of the groundwork has already been laid. Since the main characters have all been introduced and set on their respective evolutionary paths, and the various intermingling plot lines have been established and are progressing toward logical ends, the stories are able to flourish free of the bounds of extraneous exposition. “Steps into Shadow,” the season three premiere of Star Wars Rebels, embodies that axiom and thrills the viewer from start to finish with high-stakes drama, excitement, character development–and not a few surprises. Beginning in media res (as all great Star Wars does), “Steps into Shadow” drops the viewer directly into the middle of a daring rescue mission. A team led by Ezra and made up of Zeb, Sabine, and Chopper have broken into an Imperial prison on the planet Naraka to rescue Hondo Ohnaka in hopes of acquiring some much-needed intel. But because it’s Hondo, things are bit more complicated than they first appear, and it is actually the Weequay pirate’s cellmate, a greedy Ugnaught by the name of Terba, who can deliver what Hondo has promised: a small fleet of old Republic Y-wings located at the aptly-named Reklam Station (a play on the word “reclamation”). An accord is quickly reached and Ezra and his friends begin to make their way out of the prison with both Hondo and Terba in tow. Ezra’s power and skill is on full display through this sequence, and it’s clear the boy has learned much since the events of last season’s finale–and not all of it good. His athleticism and skill with the lightsaber is breathtaking, but the ruthlessness with which he dispatches Stormtrooper after Stormtrooper is chilling. A sequence wherein he forces an AT-DP driver to kill several troopers before walking the vehicle off a platform to its own destruction is foreboding at best. Ezra has been growing exponentially in his power, and as he confirms to Sabine, it is not due Kanan’s teaching. Rather, the Sith holocron taken from Malachor in “Twilight of the Apprentice” has been the source of his newfound knowledge and strength. Throughout this episode, Ezra seems more than comfortable with winning at any cost and is almost eager to kill his enemies. And at one point when the presence within the holocron encourages him that his anger gives him strength (an almost direct quote of Palpatine to Anakin from Revenge of the Sith), one has to wonder how far into the Dark Side (or how many steps into shadow) Ezra will venture to keep his friends safe. Perhaps Ezra’s only hope from sliding irrevocably into darkness is Kanan. Unfortunately as “Steps into Shadow” begins, the boy’s master has become disconsolate in the wake of Ahsoka’s presumed death and his own blindness at the hands of Maul. Having turned inward, Kanan literally and figuratively cannot see beyond himself and is of no use to his Padawan. Until he is summoned by the Bendu. A massive creature who claims to be neither a wielder of the light (the Ashla) or the dark (the Bogan) side of the Force but rather in the middle, the Bendu challenges Kanan’s ideas about his own limitations and perceptions of the world. Using the spider-like krykna as an object lesson, the Bendu illustrates that understanding is subjective and that pre-conceived ideas about what is good and evil may not be as concrete as they first appear. For as Kanan learns to truly “see” through the Force what the krykna are, his fear fades away and the creatures cease to be a threat to him. But perhaps most interesting is the Bendu’s analysis of the Sith holocron, for after close examination, he declares that objects themselves are neither good nor evil but can be used for either. But people, he argues, can change from one side to the other. It is unknown how much more (if any) we will see of the Bendu, but with its connection to the convor (which in turn has ties to the “Mortis” trilogy of Star Wars: The Clone Wars and perhaps the fate of Ahsoka Tano), it seems likely that we’ll see the creature again. In any case, the Bendu’s effect on Kanan is immediate and powerful for he quickly returns to action after the encounter and rejoins Hera in order to help Ezra. For many viewers, the inclusion of Grand Admiral Thrawn in “Steps into Shadow” was anticipated as a high point, but frankly he doesn’t do very much on-screen in this episode. Brought into deal with Phoenix Squadron at the request of Governor Pryce (whose voice and visage peg her as a clear homage to Irina Spalko from Indiana Jones and the Kingdom of the Crystal Skull), Thrawn demonstrates his legendary (pun intended) knack for deduction and anticipates the rebels’ assault on Reklam Station. The ability to see the bigger picture and make connections between seemingly random things was always a crucial part of Thrawn’s characterization and that remains the case here. We also see a bit of Thrawn’s ability to conceive long-term plans that baffle his underlings (a trait shared by Palpatine that surely caused the Emperor to value the Chiss strategist) in that the Grand Admiral allows the rebels to escape with the stolen Y-wings because it serves his larger objective. Though not a big part of “Steps into Shadow,” the seeds of Thrawn’s influence throughout season 3 of Rebels have certainly been planted. It remains to be seen what Thrawn’s presence ultimately means for the fate of Phoenix Squadron, but for this week at least the crew of the Ghost scored a major victory in that the Y-wings they stole were meant for General Jan Dodonna and will be instrumental in the attack on the first Death Star. As we move ever closer to the events of A New Hope, the stakes continue to rise for our heroes. We know the mission will ultimately succeed. What we don’t know is who will be around to see it.